During football season, it's pretty easy to find my family on Sunday. We're all gathered in the living room routing on our favorite teams. It's a great chance to sit down with the entire family and spend some time together, and I always bring my A game with the snacks! 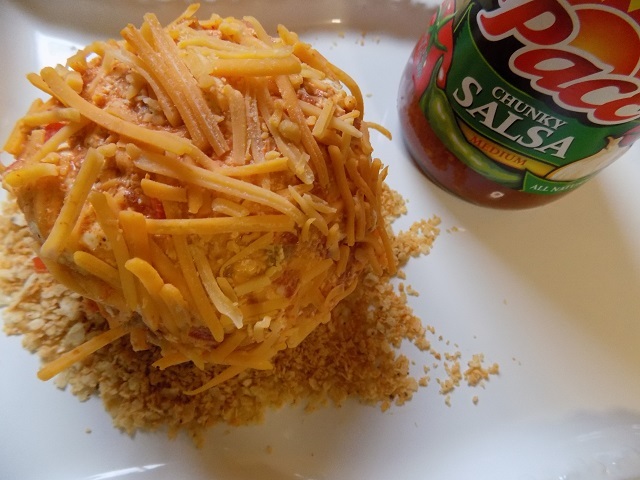 This super simple homemade cheese ball recipe is ready to serve in just 3 simple steps, and everyone always loves it. It's a pretty versatile appetizer, so it's great to make for parties and on holidays too. It's always a hit! Start by gathering the ingredients below, and check out my step-by-step imagery on how it all comes together. 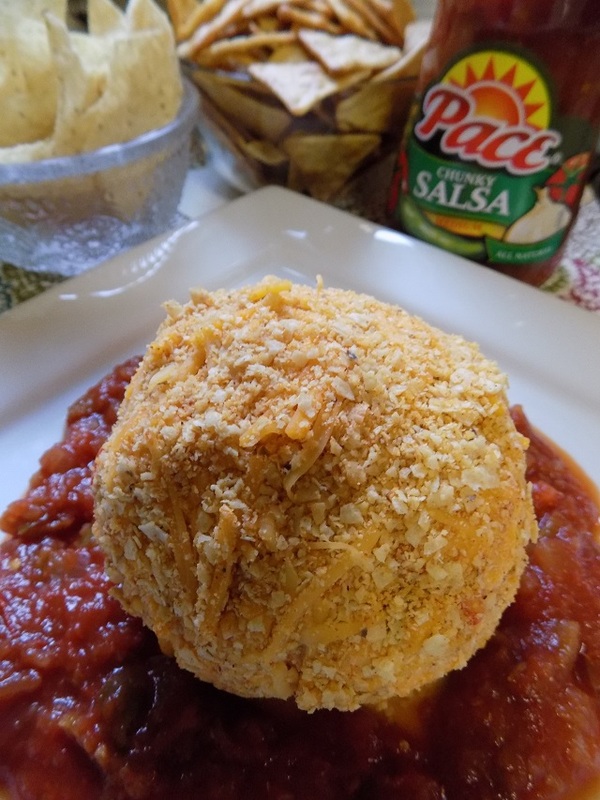 Once your cheese ball is complete, serve it like we do with delicious homemade garlic Pita chips, or with your favorite tortilla chips or crackers. 1. Fold your ingredients together in a large mixing bowl combining 8 oz. of softened cream cheese, 1 cup finely shredded pepper-jack cheddar cheese, 1 cup finely shredded cheddar cheese, 1 cup of strained Pace Medium Salsa - this really kicks the flavor in this recipe up a notch (set the remainder of the 24 oz. jar to the side), 1 green onion chopped finely, 1/2 TSP. chili powder, and 1/3 cup of sour cream. After the ingredients are folded together, gently whip it by hand for 3 minutes or so. 2. Shape your mixture into a ball, and place it in the refrigerator for one hour. 3. 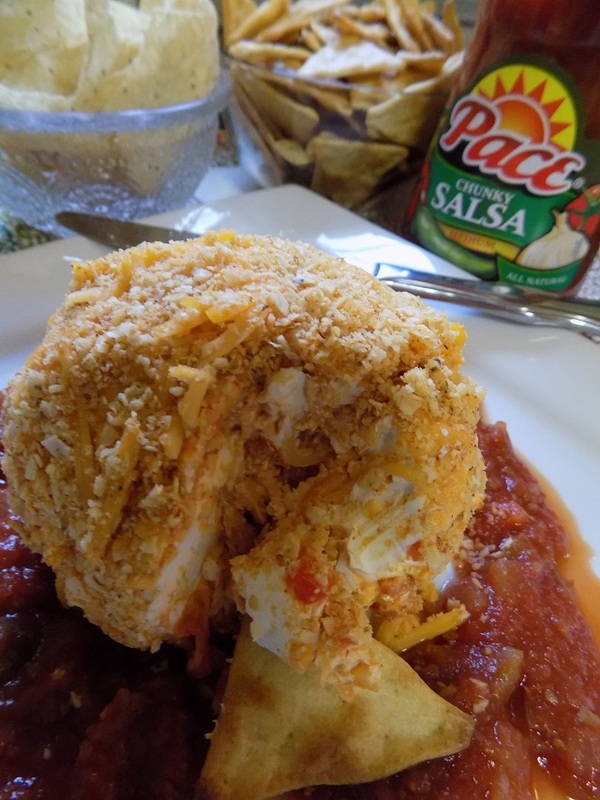 Roll your chilled cheese ball in your crushed pita chip crumbs (or tortilla crumbs/cracker crumbs) - serve with remaining pita chips or crackers, and Pace ® Medium Salsa. 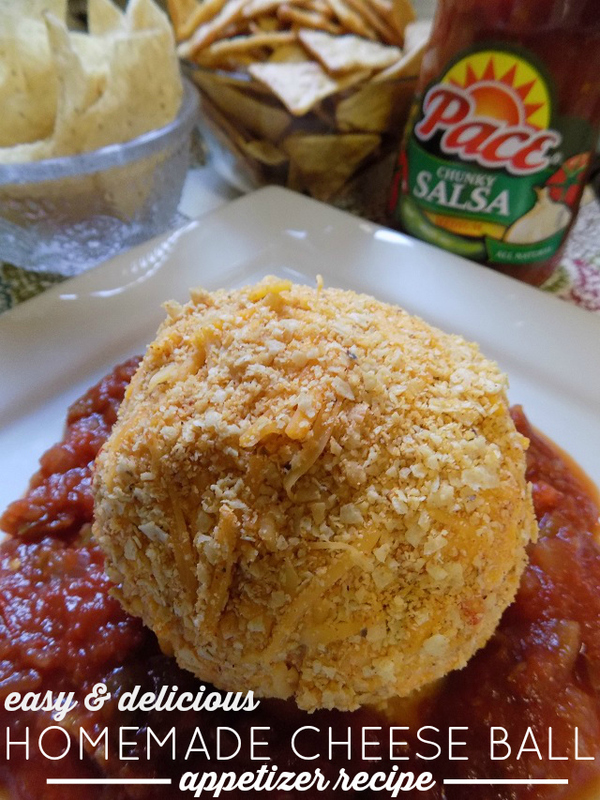 Tip: I spoon salsa around the base of my cheese ball (pictured) - this makes it easy for everyone to grab a little extra flavor with each chip / cracker! 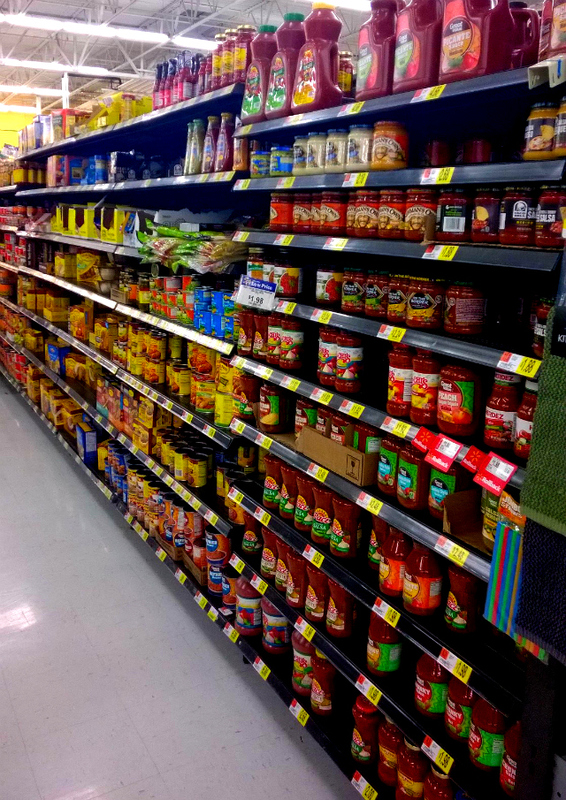 You can find Pace ® Medium Salsa, and all of the other ingredients for this recipe, at Walmart. Enjoy! This simple recipe is always a hit with my family and friends! Click here to find more delicious recipe inspiration for your next family game day gathering or holiday party! The Creamy Gouda Mac & Cheese is at the top of my list of recipes to try. Which one would you like to try? Wow this not only looks great, but I love the ingredients. I'd love to try this! This looks amazing. Definitely a very quick, easy way to satisy your guests. Pinned for later!